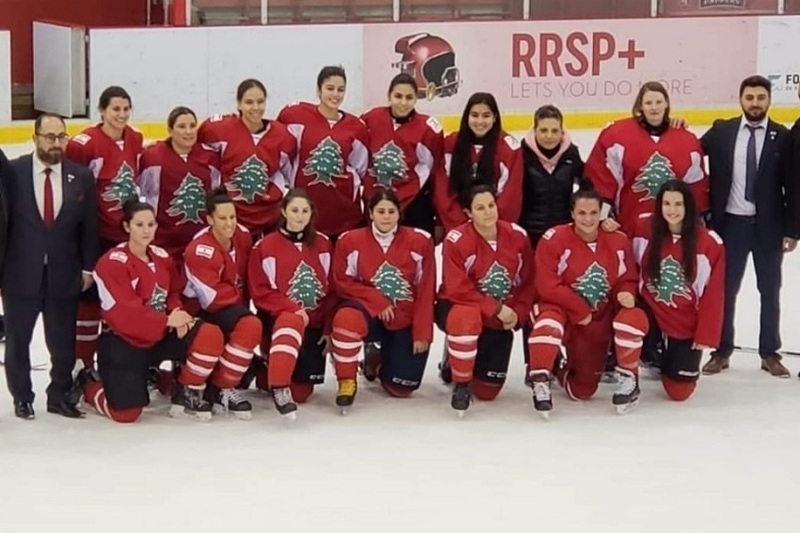 The Lebanese Women’s National Team is new to the world of female ice hockey, We are part of the prestigious Lebanese Ice Hockey Federation that has already built a strong Men’s team. We are only the 3rd Arab female hockey team. There are currently 37 IIHF ranked women’s teams in the world, and Lebanon is poised to join them. You can help us begin our climb into the standings. Our immediate plan is to grow the team, improve our ranking in the world of women’s ice hockey, and go to the Asian Winter Games in 2021. We will raise the Cedar high in the world of ice hockey! We are a self-funded team, composed of female athletes passionate about the sport. Unfortunately, ice time is expensive, as are our uniforms. Some of the team members travel over 1,200 miles. Many are students or employees who have to take days off of school / work to attend the practices and games held in Montreal. You can be a part of our efforts to Raise the Cedar. Your generous donations will help us pay for ice slots, equipment, jerseys, and travel costs. We are also hoping to establish a travel stipend for the team members, which will help them come to Montreal for practices and games. You can find more information on the Facebook page: Lebanese Ice Hockey Federation.